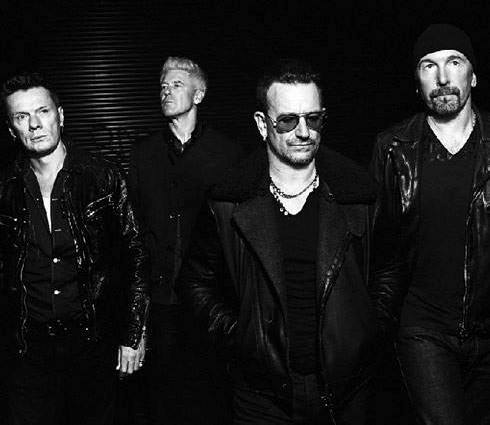 U2 bassist Adam Clayton says the band are planning to release the follow-up to 2014’s “Songs Of Innocence” next spring. "We've been working on a record and we've been humming and hawing on whether it's finished or not," Clayton tells RTÉ's Shay Byrne. “We've decided it's not finished - we're going to work up until Christmas. "I wish we were a little bit more definite about our scheduling because people have been expecting it, "but it'll be out next year, maybe March/April. That's the plan, but I'm not confirming it." U2 originally aimed to have the project – rumoured to be titled “Songs Of Experience” – ready for 2016, but they continue to actively record new material while reportedly sifting through as many as 50 songs for possible inclusion. Billboard reports Bono revealed this past summer that U2 will support the album with live dates in the second half of 2017. U2 finished the “Innocence + Experience” in Paris last December and released the HBO broadcast of the final concert on Blu-ray, DVD and digital download in June. The group performed at the iHeartRadio Music Festival in Las Vegas, NV last month and played the annual Dreamforce conference in San Francisco, CA on October 5.